Not only do Olympians have extraordinary athletic prowess, but it also goes without saying that they have amazing (and hard-earned!) bodies. Celebrity trainer Harley Pasternak (his clients include Megan Fox, Kate Beckinsale, and Rihanna) recently told People.com that his appreciation for an Olympian’s toned body (sprinter Ben Johnson) is what motivated him to hit the gym at a young age. Not only do Olympians have extraordinary athletic prowess, but it also goes without saying that they have amazing (and hard-earned!) bodies. 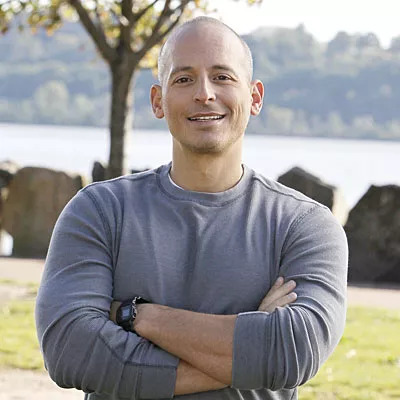 Celebrity trainer Harley Pasternak (his clients include Megan Fox, Kate Beckinsale, and Rihanna) recently told People.com that his appreciation for an Olympian’s toned body (sprinter Ben Johnson, who ended up later testing positive for steroids) is what actually motivated him at a young age to hit the gym. He also shared ways regular folks can get an athlete’s body (or at least drop a few pounds). Here, our favorite of his tips. To stay focused on your goals, try keeping a journal. Why it might help: a recent study in the Journal of the Academy of Nutrition and Dietetics found women who had food journals lost about six extra pounds than those who had not. What a difference keeping track of your goal makes! We've all seen how much fun it looks when U.S. Olympic swimmers like Missy Franklin, Elizabeth Beisel, and Dana Vollmer practice, judging by their viral "Call Me Maybe" video. So take a page from their book, and work out with friends. Research from the University of Pennsylvania School of Medicine shows that exercising with a partner may provide psychological benefits and make your gym session more enjoyable.